Looking for the best natural methods to quit smoking in recovery? When trying to kick nicotine and the other 4,000 chemicals in cigarettes, chances are you probably don’t want to use a method that continues to add chemicals to your body. Recovering alcoholics and addicts especially are less likely to want to use drugs to try to kick another drug habit. Most have tried to quit smoking in the past, and typically 2 or 3 unsuccessful attempts precede the final victory. Maybe the conventional methods have failed you in the past (i.e. nicotine gum, patches or meds), or perhaps you just prefer to go the natural route anyhow. Many smokers look to methods from natural medicine when ready to really quit for good. Physically… Acupuncture is a commonly recommended natural modality for smoking cessation support. Certified acupuncturists can administer a specific protocol of treatments on certain points of the body, geared to minimize the cravings during withdrawal. Typically the practitioner will suggest one or two sessions a week during this stressful period. You can search for an acupuncturist near you. Don't like needles? Try Emotional Freedom Technique- EFT is like emotional acupressure for self-care. You can work with an advanced certified practitioner and even work by phone or Skype. Mentally… Chances are you have tried to quit smoking in the past, so doubt and negative thinking may sabotage your efforts this time around. You can give yourself the mental edge with some hypnotherapy. You can of course seek out a certified hypnotherapist, or for a more affordable option try downloading an audio program to listen to daily and every night before you go to sleep. Hypnotherapists have created guided meditations and recorded hypnotherapy for smoking cessation which you can even download as an MP3 for instant gratification. Program your brain with positive thoughts to set yourself up for success and replace the negative obsessive thinking. Click here to check out this great recommended program by an acclaimed hypnotherapist. What do people report as the main reasons behind their fear of quitting smoking in recovery? They typically relate it to their perception that cigarettes reduce "negative affect," (referring to depression, anxiety or irritability), and that these underlying conditions may trigger a relapse, in the absence of the perceived calming effect of cigarettes. So the real issue seems to be what sobriety is all about anyhow- learning to cope with emotional stressors with healthy tools rather than picking up any drug, including a cigarette. But the stress of quitting smoking itself on top of the other potential daily stressors does indeed have physical and emotional ramifications. Natural supplements offer a safe helpful solution, especially for those who prefer not to add pharmaceuticals to their sober regimen. Physical withdrawal causes stress in the body, and obviously the normal daily stressors that trigger the urge to pick up a cigarette may feel exacerbated during withdrawal. Stress affects the adrenal glands (our fight and flight guys!). Most recovering alcoholics have beaten up their adrenal glands pretty well over the course of their drinking days- and even with stress that continues into sobriety. Smoking hasn’t helped the adrenals either! The best herbal support to recommend given all these factors is one which supports the adrenal glands and your body’s ability to cope with stress. Check out Bliss anti-stress formula, which contains a great blend of adaptogenic herbs- they help your body adapt to stress naturally, help stabilize your mood and decrease feelings of anxiety. That’s key especially during this critical period while trying to kick the nicotine habit, when stress seems to be your greatest enemy mentally, and physically. Click here to read about the benefits, ingredients and science behind Bliss to see if it is right for you (you can print out the info there if you want to check with your doctor first). The other supplement to consider for increasing your chances for success in quitting smoking is L-trytophan, an essential amino acid which is the precursor to serotonin production. Serotonin is the “feel good” neurotransmitter. According to WebMD, taking L-tryptophan seems to improve the effectiveness of conventional smoking cessation treatment. L-tryptophan naturally improves mood, and supports healthy sleep, both of which are particularly important when trying to quit smoking. And another researched benefit is that L-tryptophan can “help promote healthy reactions in daily and stressful situations”! The body cannot produce this essential amino acid so it must be obtained through diet and supplementation. 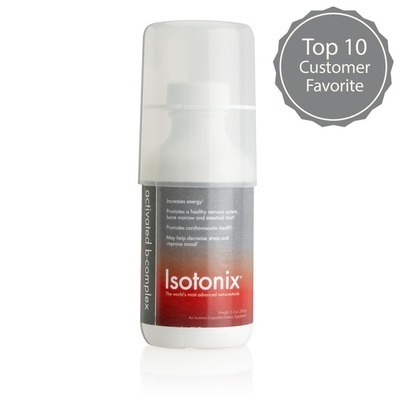 It is best utilized in an isotonic-capable form which also contains niacin and B6 to assure its proper absorption. Click here to learn more about or order the best L-tryptophan supplement available. The final natural method that you may not be aware of is a certain eating plan to support your efforts. Another common deterrent to attempting to quit smoking is the feared weight gain. It is true that people sometimes gain 5 or even 10 lbs when they quit. However if you are armed with the correct knowledge to eat the right way, this can be avoided. The best way to avoid gaining weight is to eat a low-glycemic meal or snack every few hours. This will not only naturally help keep you from storing excess fat, it will also help curb cravings and balance your blood sugar levels- which were negatively affected by smoking. Nicotine affects blood sugar, so it affects your metabolism. To help restore a healthy metabolism, learn to use a low glycemic plan to balance your blood sugar. This is the healthiest way to eat in general anyway! Get this great health guide and journal for all the info you need to support your healthy lifestyle change. That will complete your comprehensive plan to finally quit smoking, using the best natural methods to give you the healthy edge to ensure your long term success.